Pancakes are almost a universal favorite with kids, probably because they’re soft, sweet and in small sizes!! They’re very easy to make as well, making them a favorite with Moms too! 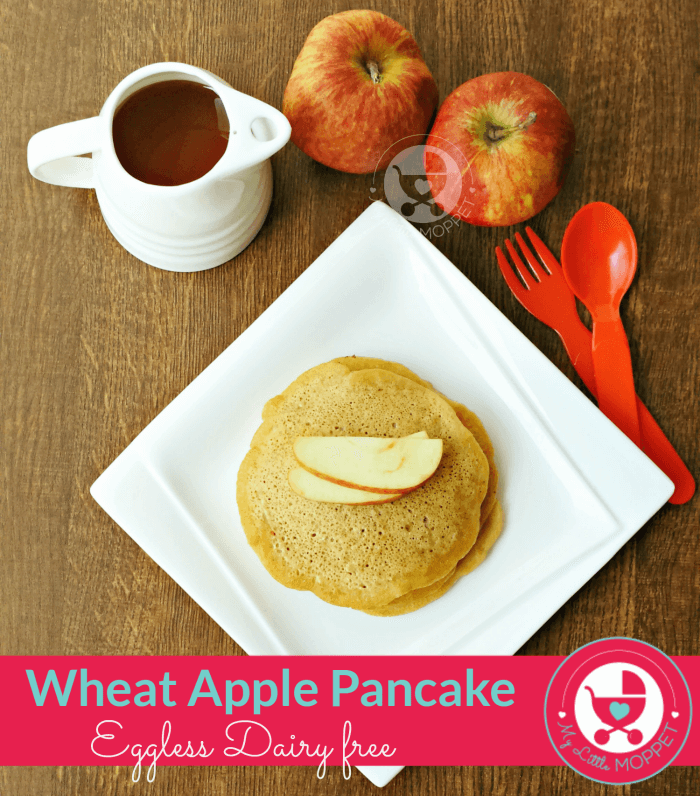 While most pancake recipes rely on refined flour, eggs and milk, this one is completely different – yes it’s Eggless Apple Whole Wheat Pancake Recipe and without milk!! 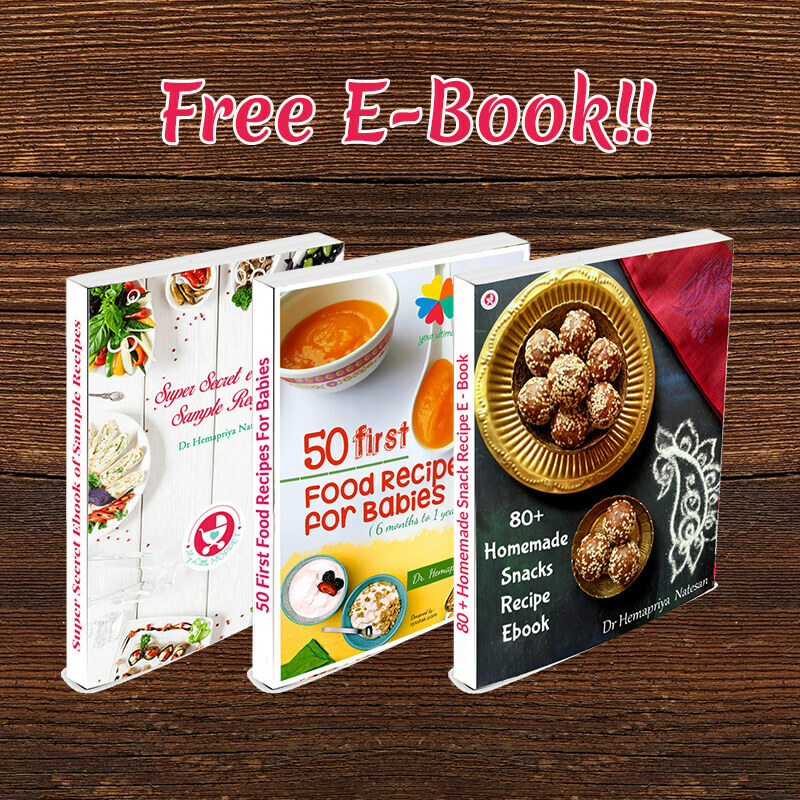 This is perfect for kids with egg allergies or lactose intolerance. I usually make these pancakes in small coin-sized shapes and my daughter enjoys them as finger food. 1. Sift wheat flour, baking powder, ground cinnamon and salt in a bowl. 2. Add oil and water and mix, ensuring no lumps. 4. Add the grated apple to the flour mixture. Set aside for 10 minutes. 5. After 10 minutes, give the pancake batter one more mix. Add the jaggery or sugar at this point. 6. Heat a griddle or dosa tava on medium flame. When hot enough, grease it with ghee or butter. 7. 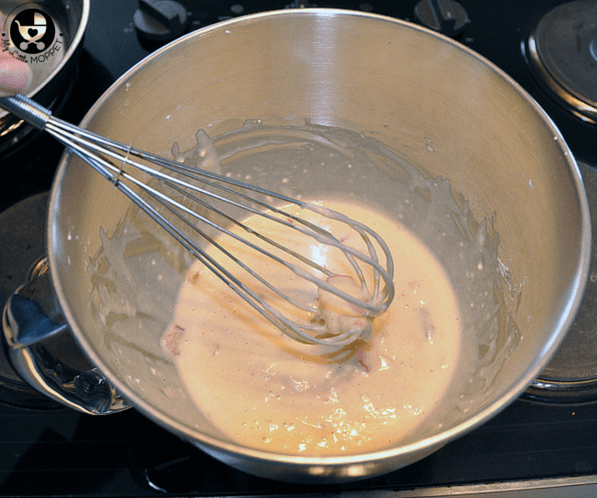 Pour a ladle of the batter onto the pan. Don’t swirl it around as for a dosa. You can make small shapes like circles or triangles so that it will be easy for the baby to hold and eat. 9. Cover the pancakes with a lid and cook for 1 minute on a low flame. This helps the grated apple to cook well and blend with the batter. Wait for bubbles to appear. 10. 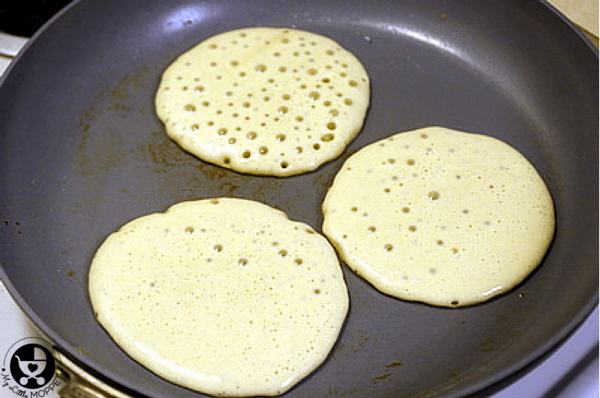 When bubbles appear on the surface of the pancake, flip it over and cook the other side for a minute. 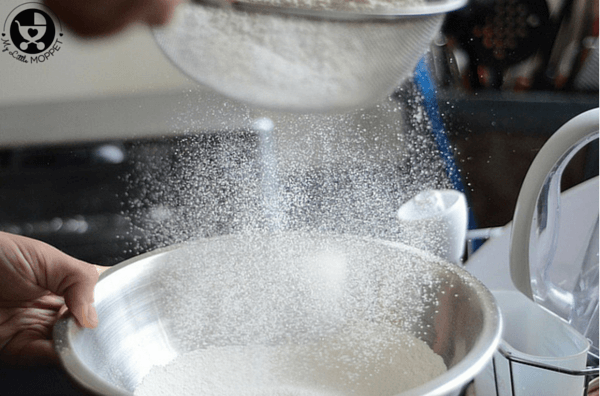 These pancakes can be made without baking powder too, although baking powder makes the batter thick and yields soft pancakes. 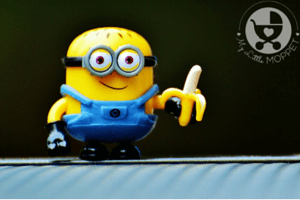 If the apple is sweet then you can skip the sugar. Instead of apple, you can also add mashed banana to the batter. Elaichi powder can also be added for extra flavor. You can also cook these pancakes without sugar, adding it later if needed. For toddlers and adults, water can be substituted for milk in the same recipe. 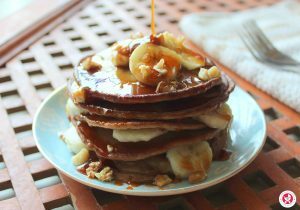 These pancakes are sure to be a hit for the entire family and make a great idea for Sunday brunch or kids parties. You can serve it to older kids with jam, peanut butter or chocolate spread – the options are endless! 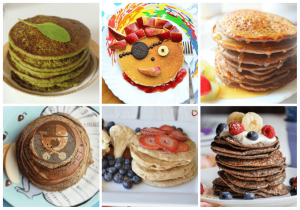 Pancakes are a universal favorite with kids, since they're sweet and soft! 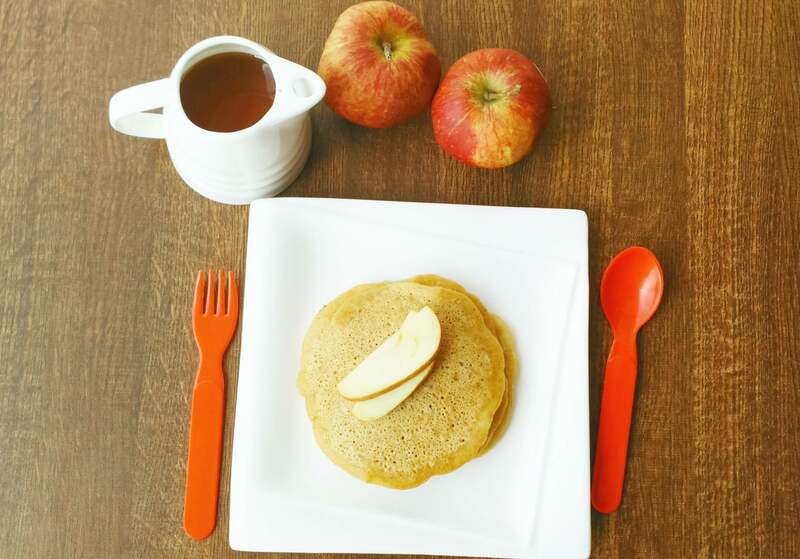 Now make a healthier version with this eggless whole wheat apple pancake recipe. Sift wheat flour, baking powder, ground cinnamon and salt in a bowl. Add oil and water and mix, ensuring no lumps. Peel and core the apple. Grate it with a fine grater. Add the grated apple to the flour mixture. Set aside for 10 minutes. After 10 minutes, give the pancake batter one more mix. 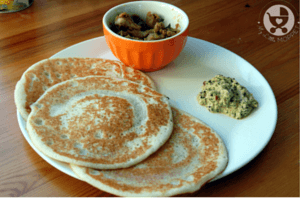 Heat a griddle or dosa tava on medium flame. When hot enough, grease it with ghee or butter. Pour a ladle of the batter onto the pan. Don't swirl it around as for a dosa. You can make small shapes like circles or triangles so that it will be easy for the baby to hold and eat. 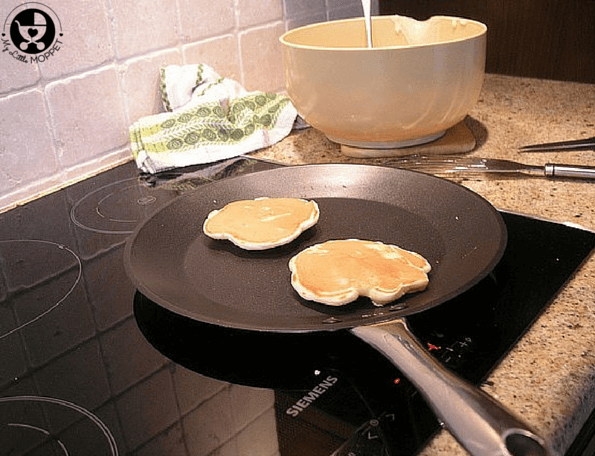 Cover the pancakes with a lid and cook for 1 minute on a low flame. 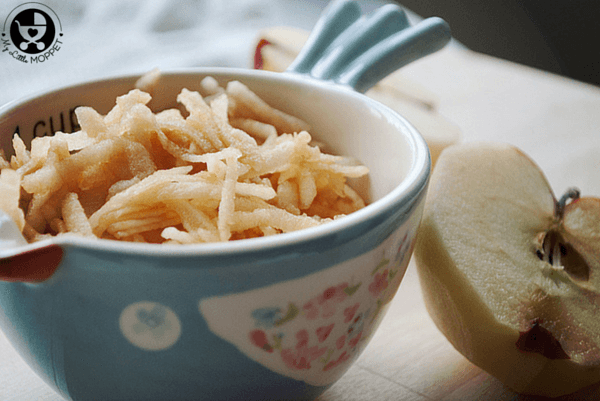 This helps the grated apple to cook well and blend with the batter. When bubbles appear on the surface of the pancake, flip it over and cook the other side for a minute. How to give this to 14 months baby with no teeth. You can mash a bit and give dear. And the gums of these little ones are strong enough to bite the food. Can this be given to 7 month old baby? Have you introduced all the ingredients individually dear Ayisha? if yes you can try. Please don’t add sugar/salt in any food for babies below 1 year. Can I feed this to my 10 month old? Today I ran out of eggs and discovered your recipe.. it was so easy n yummy. my 10 y/o and 8 y/o loved it.. 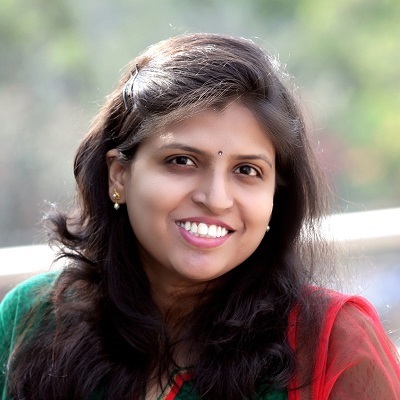 Thanks a lot for sharing this nutritious recipe. This is encouraging to hear. We love to know that little ones love our attempts. That’s a nice recipe . will defly give a try. 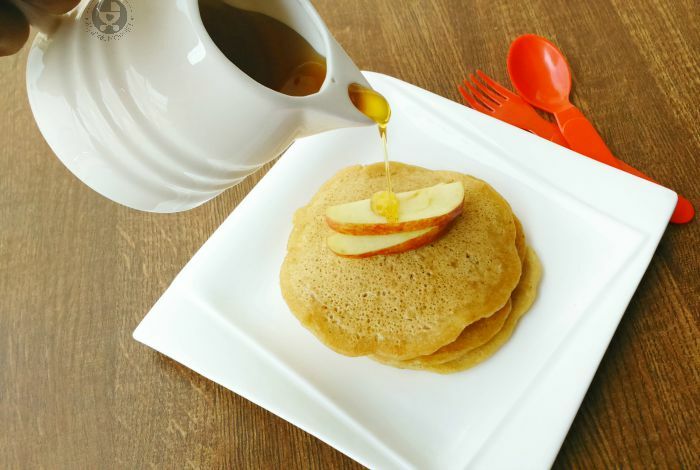 For normal pancakes we use butter to the flour mixture instead of oil which is healthy as well as increases taste. Hi hema.can this be given to my 7 months old baby? 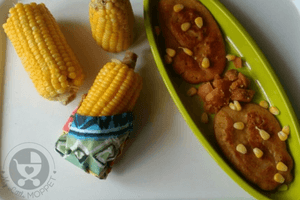 Ya, Its a very quick and healthy recipe indeed…d best way to add desire nutritional fruit widout tge kid even noticing abt…specially when we hav to travel and think.wat to prepare in short time..I tried it and my boy liked a lot..!!  Hi, I tried this recipe with my 16 month Lo and he loved it. My only problem was that after cooking the pancakes I could still taste the uncooked wheat flour mix in it. Initially I thought it could be because I half cooked it so cooked for longer next time. Though the taste improved I still could taste the flour. Is this the case of undercooked batter or I might be doing something wrong? Thanks a lot for this wonderful recipe! Yes you can give this to your 1 year old baby. Hi.. Tried this recipe for my 16 months baby.. He liked it a lot.. He dint stop with one. To my sweet surprise, he asked for more:-) Thanks for sharing this. 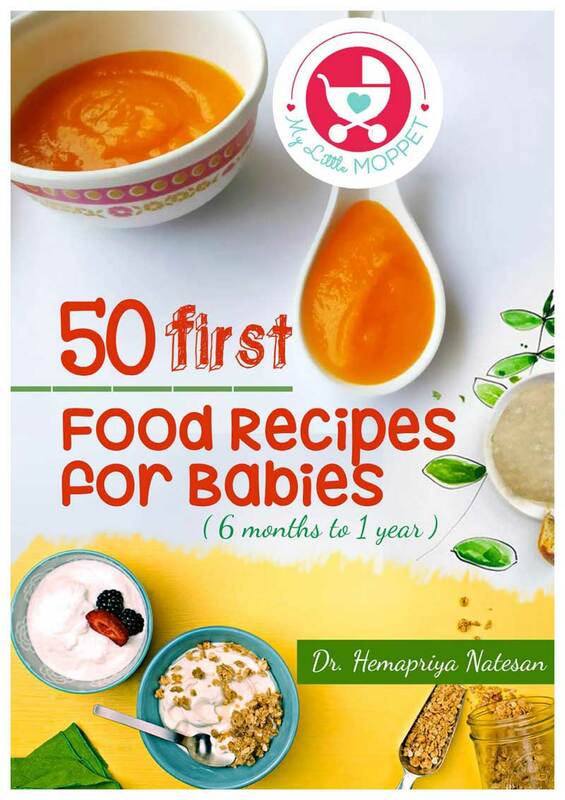 Pls share more recipes for babies above 1 year..